Celebrate the start of the growing season with Weavers Way Co-op next Saturday, May 21 from Noon- 4 p.m. at their Fresh and Local Fair. The event will close out their Spring Member Appreciation Week and will feature live music, locally grown and prepared foods, and opportunities to meet Weaver’s Way farmers. Vendors will include: John & Kira’s Chocolate, Fresh Sprout Event, Blue Moon Acres, J’s Gouramaze Knishes, Capogiro Gelato, Crazy About Hummus, Cittafarina Meatballs and Gravy, Martins Sausages, Moshe, Chung's Sushi, Schmoogy’s, Copa Soaps, Marla’s Oaties, and Earth Elements. All three locations will be hosting the Fair and the West Mt. Airy store will also be selling locally grown plants from Didden’s Greenhouses, in Hatfield. Started as a buying club in 1973, the member-owned Co-op now has more than 4,600 household members in three locations: West Mt. Airy (559 Carpenter Lane, Philadelphia), West Oak Lane (2129 72nd Avenue, Philadelphia), and Chestnut Hill (8424 Germantown Ave., Philadelphia). 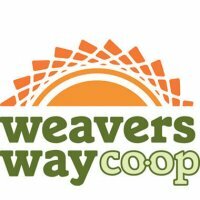 For more information about Weavers Way Co-op and how to join, visit the co-op's website or e-mail member@weaversway.coop.